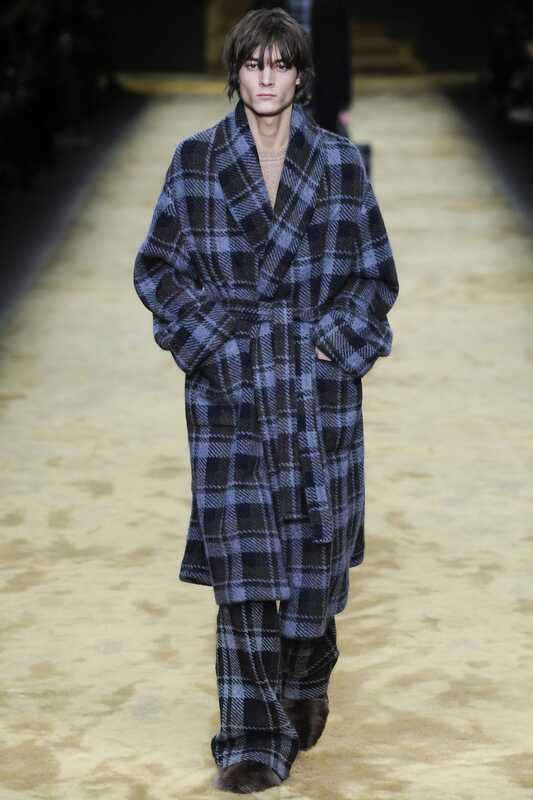 If one trend ties together runway presentations from the past year, it’s the ubiquity of oversized silhouettes. But how do you wear oversized clothes stylishly? It's a look like ripped jeans and dad style that can easily slip into sloppy rather than stylish if not done right. Longer lengths, wider cuts, and generally bigger proportions traverse all types of garments: Shirts appear longer, sweaters bigger and slouchier, cropped pants boxier, and even blazers cut as if they’re specifically for a mid-‘80s David Byrne. Even accessories aren’t immune, with beanies offering more space and fanny packs creeping into cross-body bag territory. So, where do you begin? Why are oversized clothes so popular now? Do oversized clothes go in cycles? 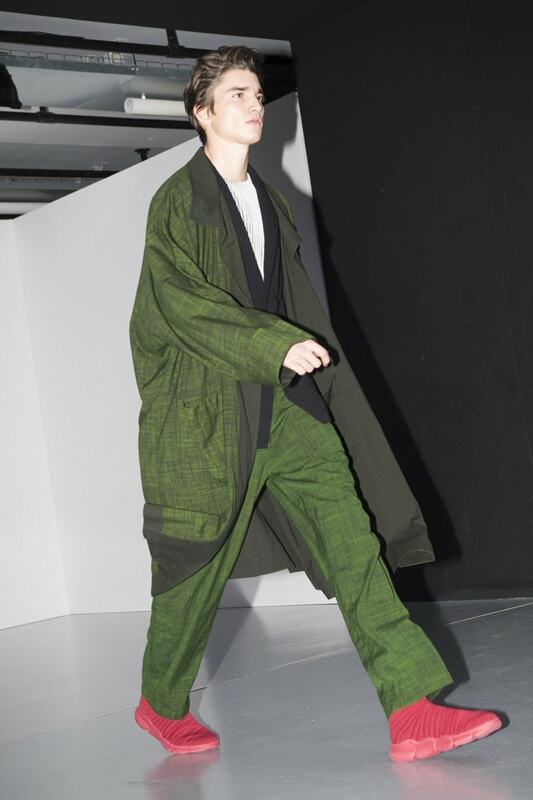 Are oversized clothes part of the 90s revival? How do I wear oversized clothes and still look stylish? The move to just generally bigger fits was bound to happen. If you’ve been observing menswear over the past few decades, fits sharply slimmed down over the course of the 2000s. Suddenly, T-shirts went from being loose to slim, jeans took on a skinnier appearance, even when worn below the hips, and suiting shed its ‘80s and ‘90s image to reflect a sophisticated, dapper man with the most impeccable tastes. Tom Ford and Hedi Slimane are credited with leading the charge – and, back in 2003, we were all influenced by The Strokes. 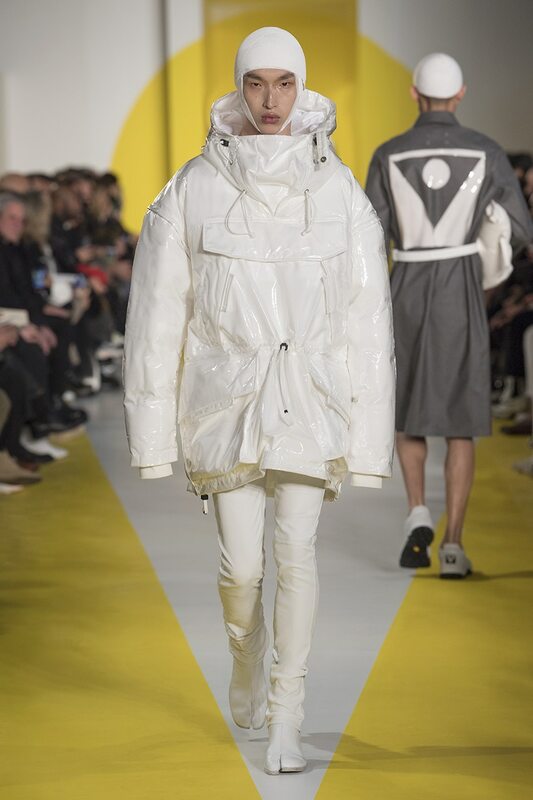 By 2010 – also the point, culturally, when menswear shed its second-fiddle status at Fashion Week – straight, if not on the skinny side, was the way to go. Thus, with most of men’s fashion transforming and evolving over this period, experimenting with wider fits in the present is simply inevitable. Beyond this, there’s the fashion cliché that, by now, cycles like clockwork: Trends return every two decades or so. 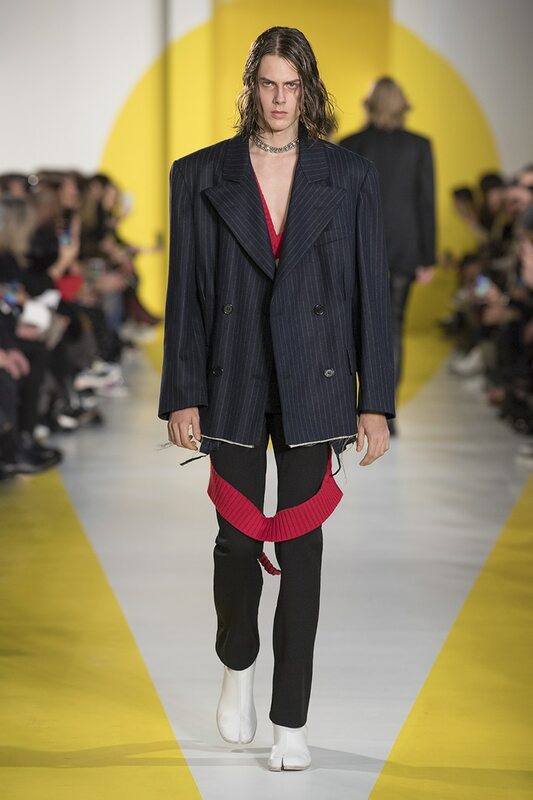 Both men’s and women’s fashion have rifled through their share of revived ‘80s and ‘90s pop culture touchstones: Ripped denim and flannel from the Grunge era, logo-mania, various classic hip-hop styles, and even Second Summer of Love-period rave fashion. 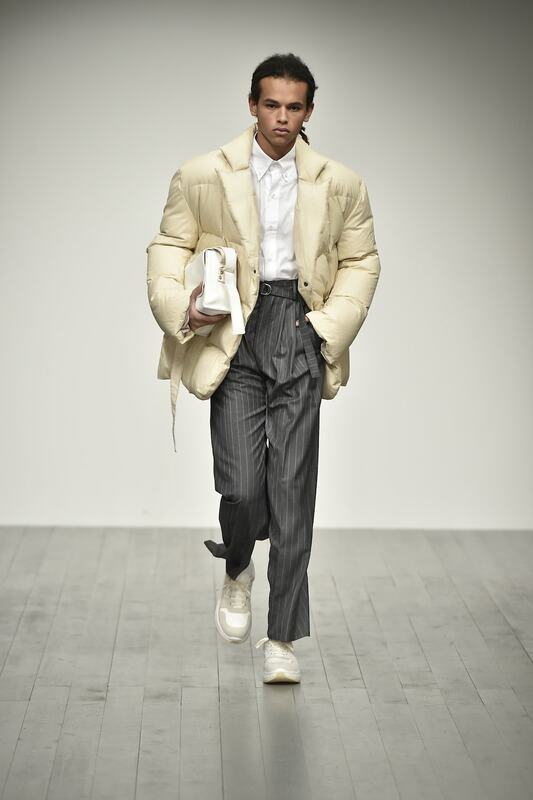 The late ‘90s, if you can recall, saw a wave of generally larger fits: Wide-legged pants you often wore below the waist, slouchy sweaters and sweatshirts, often featuring a large logo, looser-fitting T-shirts and bowler shirts, and almost giant-seeming puffer jackets. Chronologically, it’s nearly time to revisit the 90s that, stylistically and culturally, has long been considered the doldrums of the 20th century. In short, we were just waiting for the 2000s to take off and Y2K to obliterate everything, so heavily branded preppy chic, nu-metal, and Freddie Prinze, Jr., all seemed perfectly acceptable. That almost-glacial movement back to the late ‘90s started just a couple of years ago with athleisure. At the time, if you think about it, wearing baggy Champion sweatshirts and jogger pants, perhaps with a bomber jacket, felt fairly new. After all, roughly 20 years ago, you couldn’t show up to the office in sweatpants and get taken seriously. But, in the present climate, joggers, assuming they’re made out of woven nylon and paired with a button-up shirt, aren’t just for the gym, and symbolize another major shift since the late ‘90. Fewer and fewer men have separate work and casual wardrobes, and what’s fine for the weekend isn’t too shabby for the job. What’s different this time around? For one, the larger fits aren’t just for the kids. 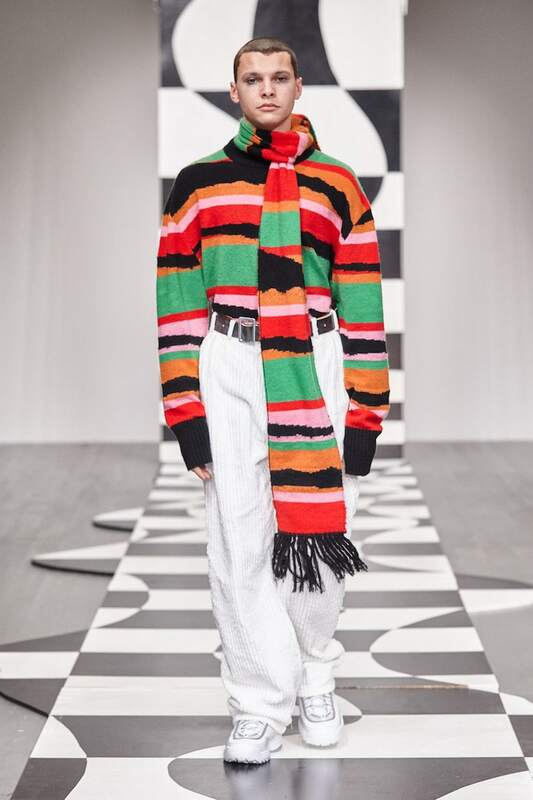 While teens and young adults might have sported pipe-style jeans with a large Tommy Hilfiger logo down the back leg, the oversized trend blankets everything. Suiting for professional types, hoodies for the hypebeast, and even jackets, tees, and pants meant for the average guy. On a second but related note, fit and proportions play a much more serious role this time around. The late ‘90s, for comparison, brought us JNCO jeans that resembled flared denim skirts covering both legs and T-shirts that shrouded most of a torso. Suiting, if you’re old enough to recall, still had that by-the-numbers look from the ‘80s: Wide, tapered, and meant to practically hide the wearer at the office. It’s no wonder fits slimmed down so quickly in the subsequent decade. 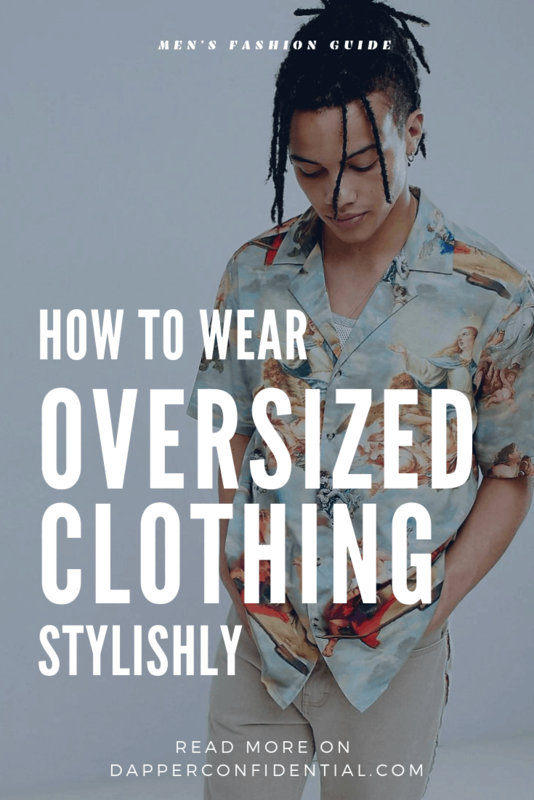 Clothing shouldn’t just be big and baggy, as if worn by a child who’s told: “You’ll grow into it – just give it time.” Rather, ordinary facets are wider or longer, while key boundaries – mainly, necklines, wrists, and hems – give a garment structure and cohesiveness. 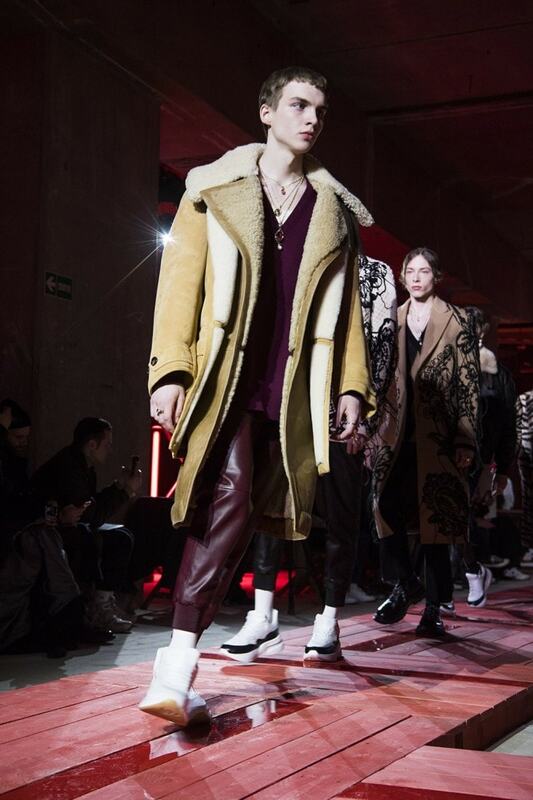 At the same time, oversized clothing isn’t positioned specifically as a ‘90s revival. Instead, designers and fashion publications have deemed it “Anti-Fit” – or, to put it plainly, clothing that drapes around most of your body without entirely appearing shapeless. Anti-fit, to start, unfolds through multiple pathways. As the first and most obvious, jacket shape and cut reflect the biggest transformation. Now a meme but reflective of the time, a wider, shape-enveloping, boxier fit characterizes both puffer jackets and trench-style overcoats. Counteracting an otherwise-shapeless design, bigger baffling, broader shoulders, and even tie-waists break up the billowing form. Need an example? 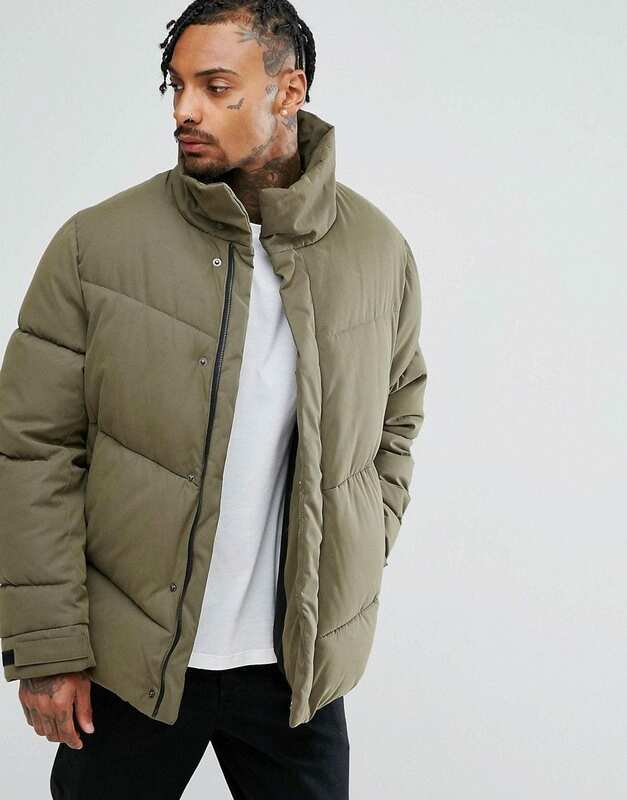 While Balenciaga is, perhaps, the most exaggerated and parodied, Drake’s Canada Goose collaboration offers a flashier take on a style that otherwise works for everyday wear. As well, Topman’s own overcoats blend a widened classic fit with smoldering reds, essentially turning a staple piece into a statement jacket. Shirts, meanwhile, have fallen into a similar pattern. 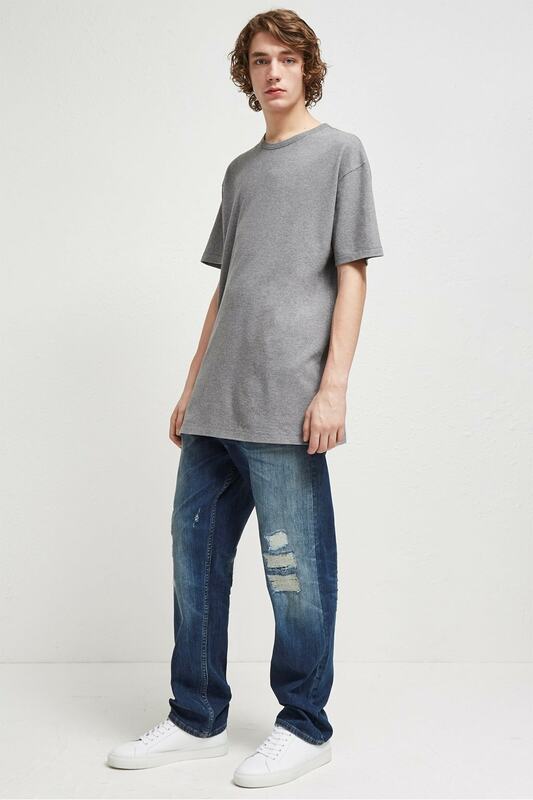 With T-shirts, longer hems are turning into the norm. Just look at plenty of footage from EDM festivals: the younger performers tend to sport tees falling past their hips, often with a shirttail-style hem. Through this lens, they’ve generally got it right: Keep the shirt straight and long, and match with skinny, if not spray-on, jeans and chunky retro sneakers. But, with shirting, longer and wider aren’t paired together. While tees and even standard button-ups to an extent frequently sport longer hems, camp collar shirts span from straight and closely cropped to draped and almost exaggeratedly wide. Rayon or viscose emphasizes the garment’s flowing quality. Yet, in spite of the revere collar holding it all together, the sources are a couple of decades apart: The former, more reflective of 1950s style, and the latter, an allusion to the late-‘90s version of Romeo + Juliet. 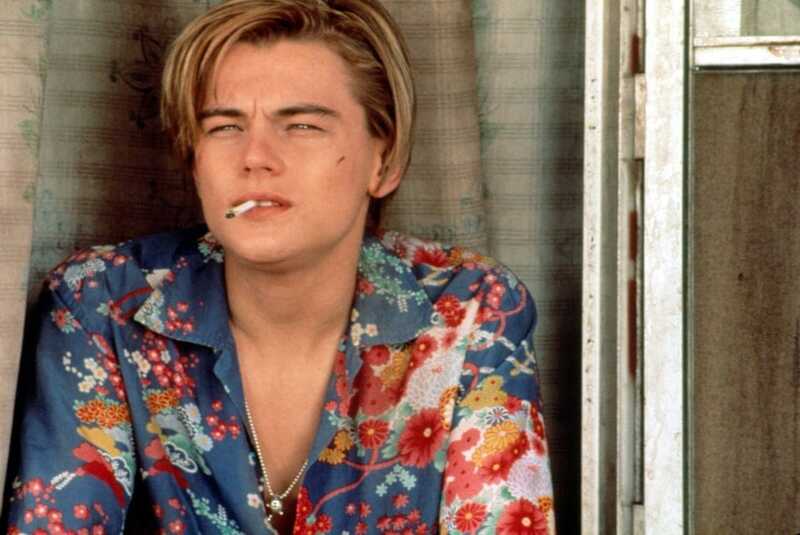 Igniting yet another oversized trend at the time, Leonardo DiCaprio and his crew spent a good deal of the film brooding and fighting in colorful, loosely fitting Hawaiian shirts. While the movie today is largely forgotten, or considered a product of the “modifying Shakespeare for the younger audience” era, the costuming choices infused the long-time vacation staple with a gangster edge. To wear this in modern times, continue to think about structure – just beyond the collar. Sleeves should fall to the elbows – no farther – while the hem should be tucked into a pair of chinos or similarly straight-cut flat-front pants for a contrasting effect. As a tangent to all this, knitwear brings together both extremes. J.W. 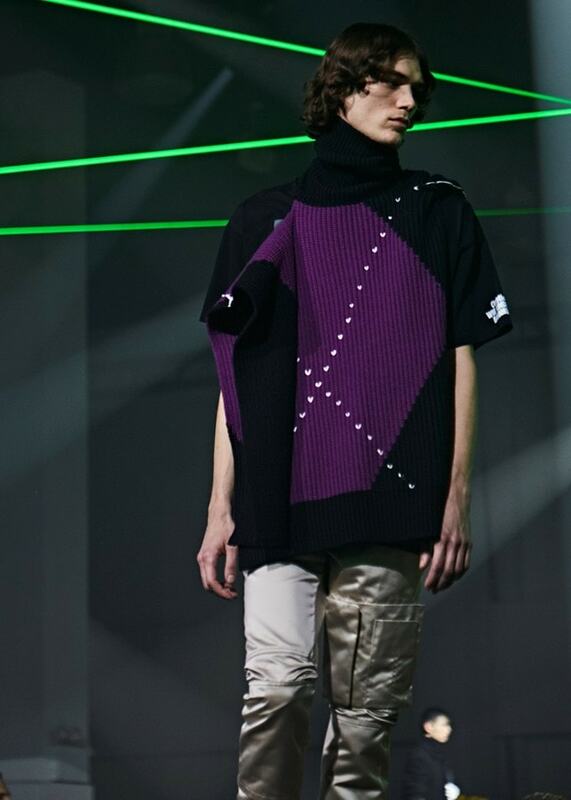 Anderson shook things up with large, slouchy sweaters that practically consumed the wearer: Dress-like lengths, shapeless fits, and even turtlenecks that curved right under the chin. However, what started on a more extreme note has since been scaled down in many areas. Although men’s knits now generally feature a slouchier cut, the garment still has some structure: a stiffer collar, a defined hem, and sleeves that simply taper right to the cuffs. 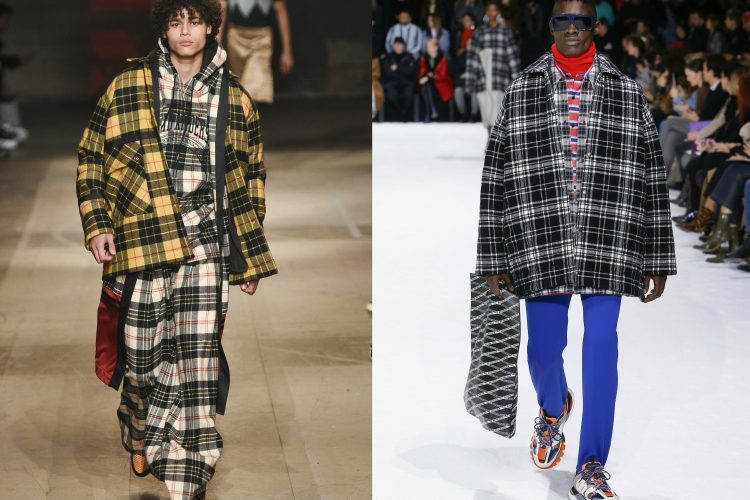 In short, there’s no line between comfort and style, and what you’d ordinarily perceive as “toasty for a cold day” is now a fashionable layering piece. It was around 2015 when we started spotting this trend, itself totally independent of athleisure. And, while slim-fit chinos and skinny jeans hold their own, it has carved out a separate corner of the menswear market: Wide and structured. Shedding any references to the ‘90s, these aren’t your old-school skater pants – no bunching around the ankles, no sagging around the hips, and definitely no signs of wear. Rather, much of their appeal goes back to clean, crisp lines along the sides and hem. Preferably worn at the hips or higher, they should fall to the ankle or even just a hint higher, into cropped territory. As with a quality pair of pants, they should hit right above your shoes for a distinct boxy shape. If they’re looser, they suddenly resemble palazzo pants – a clearly feminine style – or obscure your lower-half completely. Let’s face it: Back in the ‘80s and ‘90s, corporate suits were ugly as sin and symbolized the inherent laziness in men’s fashion. All you had to do was put on a semi-shapeless, partially pleated ensemble, and you’d be good enough to face the workday without a second glance. The skinny suit changed all that, and in addition to following the rules, a man needs to dress for his body type. On the other hand, slim fits don’t flatter everyone, and thus, the anti-fit suit occupies this in-between spot – albeit one that’s more for flash and parties and less for the boardroom. Through this context, think about the elegance of a New Wave suit – a la Duran Duran in their seminal “Rio” music video, but even Information Society’s “What’s on Your Mind” will do. No, the fit isn’t entirely perfect – maybe slightly too loose around the middle – but that extra space, without compromising structure, gives you room to move. 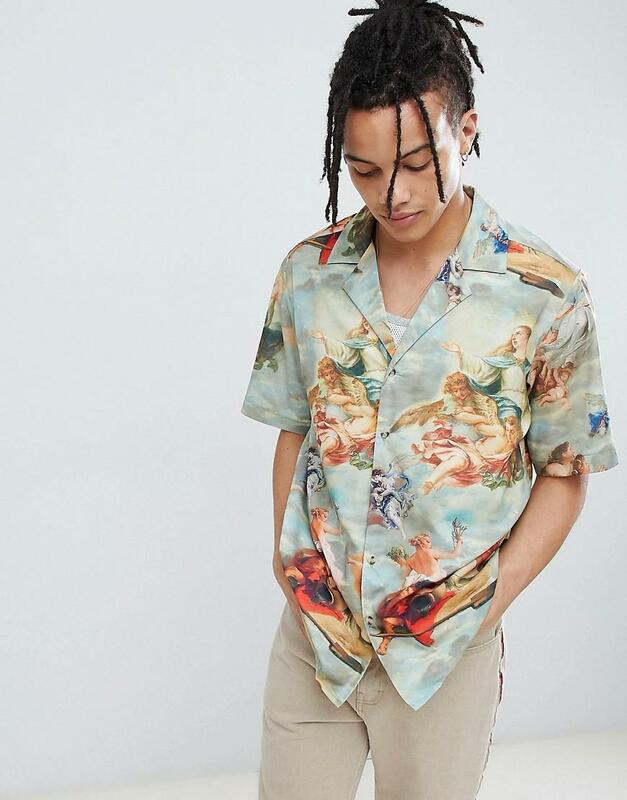 It’s a cut that has taken off with the party suit, and its semi-informal connotations mean you’re not confined by a corporate dress code: Go ‘80s-esque with a pastel or neon shade or, to flex your inner Harry Styles, splash a print all over it. Can I Wear Black Pants and Brown Shoes Together? What Color Socks Should You Wear With Jeans?